Doxycycline Side Effects in Dogs - What to Be Aware of? There are a number of possible Doxycycline side effects in dogs, and these can range from very mild to severe or even life threatening. If your pet has been prescribed this drug then it is important to know exactly what side effects are possible, and when to stop the medication and contact your vet or an emergency vet clinic. Doxycycline for dogs is used to treat many different bacterial infections, and is generally regarded as safe. This medication can make your pet more sensitive to sun, and more susceptible to sunburn while taking the medication. One of the most serious Doxycycline side effects in dogs can occur if you give medication that has expired. Outdated Doxycycline can cause kidney damage or failure, so make sure you get rid of any leftover medicine after finishing the treatment. Many of the Baytril side effects are the same as those with Doxycycline. Both drugs can cause stomach upset, vomiting, and nausea, but these are usually mild and will not cause the treatment to be stopped. Diarrhea is another of the most common Doxycycline side effects in dogs, and you should never give another medication to treat the diarrhea without checking with the vet first. Make sure your pet gets plenty of water, and if your dog is constipated check with the vet to treat this problem. 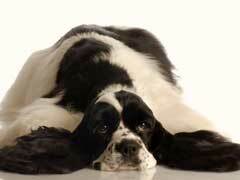 Some Doxycycline side effects in dogs can be serious, and require immediate attention. These include an allergic reaction, hives, swelling, vomit with blood, confusion, and urine which is dark colored or smells strong. You should also seek emergency vet treatment for your pet if any difficulty breathing, dizziness, hair loss, jaundice, weakness, or severe lack of appetite occurs. A dog illness diagnosis may mean a prescription for Doxycycline, and this medication is usually safe and effective as long as you know what side effects to watch for.